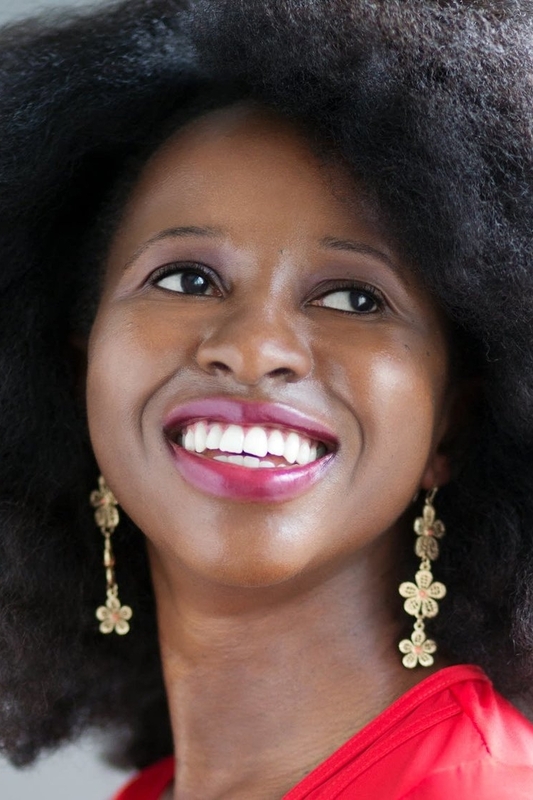 Acclaimed novelist Imbolo Mbue impressed a packed crowd at Old Dominion University's Ted Constant Convocation Center, recounting her incredible journey from leaving her native Cameroon to attending an Ivy League university and becoming a best-selling author. Her 2016 novel, "Behold the Dreamers," won the PEN/Faulkner Award for Fiction and was selected by Oprah Winfrey for her book club. The novel focuses on a young couple from Cameroon trying to make a new life in New York just as the Great Recession upends the economy. The novel addresses marriage, immigration, class, race, and the trap doors on the path to the American dream. 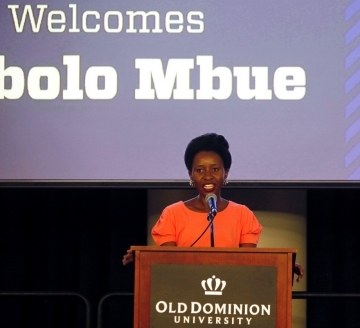 Mbue spoke at Old Dominion as part of the President's Lecture Series and annual Literary Festival. Like her characters, Mbue was a young immigrant who struggled in her pursuit of the American dream. Long before moving to America and becoming a writer, she told the crowd, she was a little girl living in Cameroon with an unwavering curiosity. "I was a child living a double life," she said. "I was carefree and relaxed on the outside but raging inside with a need to make sense of the world." Mbue recalled her oceanfront hometown as a happy place where children obeyed their parents, the young obeyed the elderly, but classism was rampant, which she found perplexing. Keep Reading! Good books can be an outlet where we quench the thirst for release, but they also provide a space to resist, aspire, and transform. We hope you'll check out these three titles, filled with empowered characters and rousing themes from which to draw your own strength and renewal. Novelist and short story writer Imbolo Mbue will speak on the Cornell University campus Thursday, Sept. 13, as part of the Dyson School’s Dean’s Distinguished Speaker Series. The 7 p.m. lecture in Kennedy Hall’s Call Auditorium is free and open to the public and will be followed by a book signing. Mbue left her native Limbe, Cameroon, to study in the U.S., and received a bachelor’s degree from Rutgers University and a master’s from Columbia University. 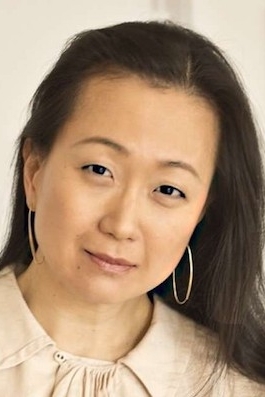 She became a U.S. citizen in 2014, the same year she signed a $1 million deal for her novel, “Behold the Dreamers,” which won the 2017 PEN/Faulkner Award for Fiction and was selected by Oprah Winfrey for her book club. The novel has been translated into 12 languages, was adapted into an opera, is about to become a stage play, and was recently optioned for a movie. All new first-year Dyson students read “Behold the Dreamers” over the summer and have discussed it in small groups. Pace University held its 11th Annual Convocation Ceremony in Pleasantville Tuesday. Convocation, the Latin word for “calling together” brought the freshmen class on campus to meet the wider Pace community. Incoming Pace University students heard from Pace President Marvin Krislov, Provost Vanya Quiñones, fellow Pace students and award-winning author, Imbolo Mbue. Imbolo Mbue gave the keynote speech. She is the author of the New York Times bestseller, Behold the Dreamers, which was read by the incoming class over the summer. Mbue's book is informed by her experience of being an African immigrant and the experiences of immigrants from around the world who shared their stories with her. Behold the Dreamers, by Imbolo Mbue, is a novel that weaves together the stories of two different families during the financial crisis of 2007-2008 in New York City. Go get 'em, Class of 2020! NYC's First Presbyterian Welcomes Imbolo Mbue! Every Fourth of July since 2006, the Corporation has sponsored the public awareness initiative to commemorate the legacy of our founder, Scottish immigrant Andrew Carnegie, who believed strongly in both immigration and citizenship. Today the Great Immigrants tribute is an archive of accomplishment featuring more than 500 exemplary naturalized U.S. citizens. For 2018, the honorees represent 30 different countries of origin, a range of personal immigration experiences, and high-level leadership in numerous fields, all of them united through their experience of becoming Americans. The honorees will be recognized with a full-page public service announcement in the New York Times on the Fourth of July. For the months of June and July, the Corporation has produced public awareness materials for sharing online via Facebook and Twitter @CarnegieCorp #GreatImmigrants. Book-It Reperatory Theatre Announces their 2018-19 Season, which includes the stage adaptions of Behold the Dreamers! Jende Jonga and his wife Neni have recently emigrated from Cameroon to America to try to make a new life for themselves and their young son. Jende gets a job as a chauffeur for an investor at Lehman Brothers and Neni studies to be a pharmacist. When the Great Recession starts to upend the economy, both of them realize that America may not be the place full of hope and promise as they had once thought. Imbolo Mbue masterfully weaves a story of class divide, immigration, and marriage in her remarkable debut novel. Imbolo Mbue Hosted for Capital Area Reads! Imbolo Mbue, author of Oprah Book Club pick Behold the Dreamers to speak in Lansing, MI. Behold the Dreamers a Finalist for One Book, One New York - Vote now! The NYC Mayor’s Office of Media Entertainment, Made in NY, and New York Magazine have announced that BEHOLD THE DREAMERS was nominated as one of the five books chosen for the return of “One Book, One New York,” the exciting city-wide initiative that brings book-loving New Yorkers together to read the same book at the same time. VOTE NOW for BEHOLD THE DREAMERS for #OneBookNY at NYC.gov/OneBook. Voting ends on 4/30.